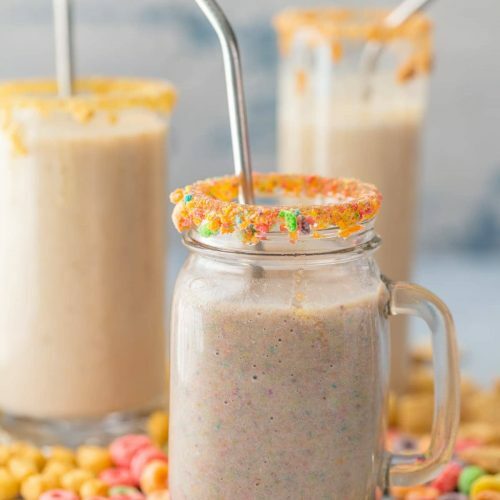 Cereal Milk Breakfast Smoothies (3 Ways!) are a fun, healthy, and easy breakfast the entire family with love! Blend your favorite cereal with milk, bananas, and ice and you're in business! Customizable for any flavor. SO FUN!